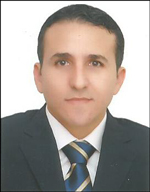 Before joining NRGI, Wissem worked in a number of relevant departments within the Tunisian government since 2008. Notably, Wissem held positions at the Hydrocarbon and the Mining Advisory Commissions, which provide consultation to the Ministry of Industry prior to signing licenses with international oil companies. He was also in charge of the industry portfolio, where he worked on monitoring the legality of hydrocarbon and mining permits and licenses and gained knowledge and experience on the Tunisian extractive industries sector. Besides having strong and direct relations with key actors in the hydrocarbon sector, Wissem worked closely with the Ministry of Industry on the interpretation of Article 13 of the Tunisian constitution. Wissem holds a bachelor’s degree in law from Tunis and a master’s in administration. He also received training on sustainable development, anticorruption and bilateral investment treaties. Tunisia: Can Tataouine Protests Catalyze Extractives Transparency Progress? Tunisia’s Draft Law on Parliamentary Approval of Oil Contracts: Missed Transparency Opportunity? 9 hours 48 min ago.